Got a new toy today! 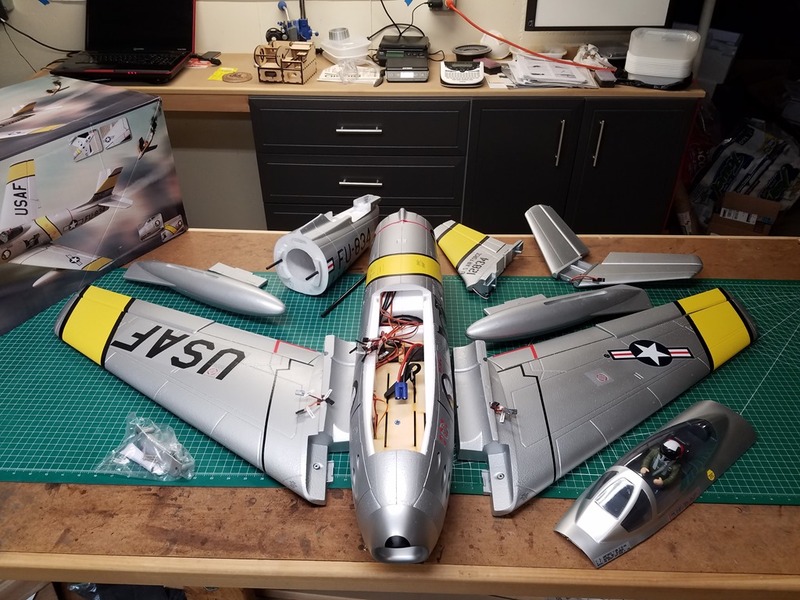 I held off on buying anything new until I maiden one of my existing projects, but with the successful maiden of my Cub last week, I pulled the trigger on a plane I have been eyeing for quite some time now, the Freewing F-86. I finally got around to maidening my H9 Cub this weekend, and am pleased to say it was a complete success! 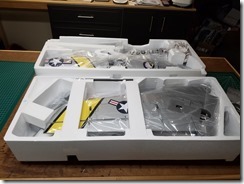 Given how she fought me every step of the way while building, I was half expecting the maiden to be another exercise in annoying little problems. In fact, it almost did turn out that way. My first take-off attempt found her pulling much harder left on take-off roll due to p-factor than I was prepared for. She got into the tall grass next to the runway and nosed over, fortunately, not going fast enough to do any damage. The next attempt, I was completely prepared and got in enough right rudder to get her airborne without any mishaps. She still yawed a bit more left on climb-out than I would have liked, but not to the point where it caused any problems. 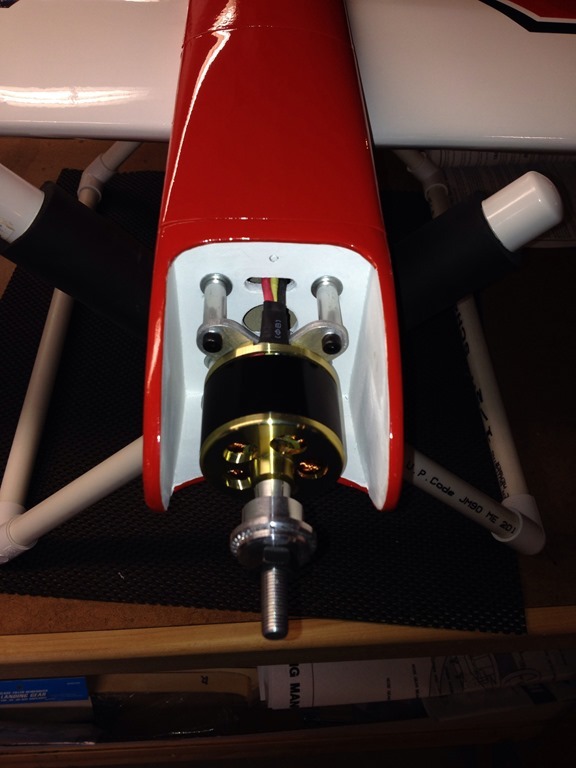 Before flying, I measured static power at 552 watts with a 13×8 prop, which put her at about 72 watts/lb. This is well within acceptable range for a Cub, but below the target of 100 watts/lb I usually try to aim for. I was a bit concerned that she would be underpowered, but no problems there at all. She climbed out well and I was able to fly her around on about half throttle. She was very stable in the air, and easily handled the 8+ mph wind gusts we were getting at the field. As expected, she needs a bit of rudder to get a smooth turn (it is a Cub after all). She landed a bit faster than the foamies I am used to flying (even with the throttle cut) but, I was able to get her to settle down on the mains without too much fuss. I cut the first flight short to see how the battery held up. 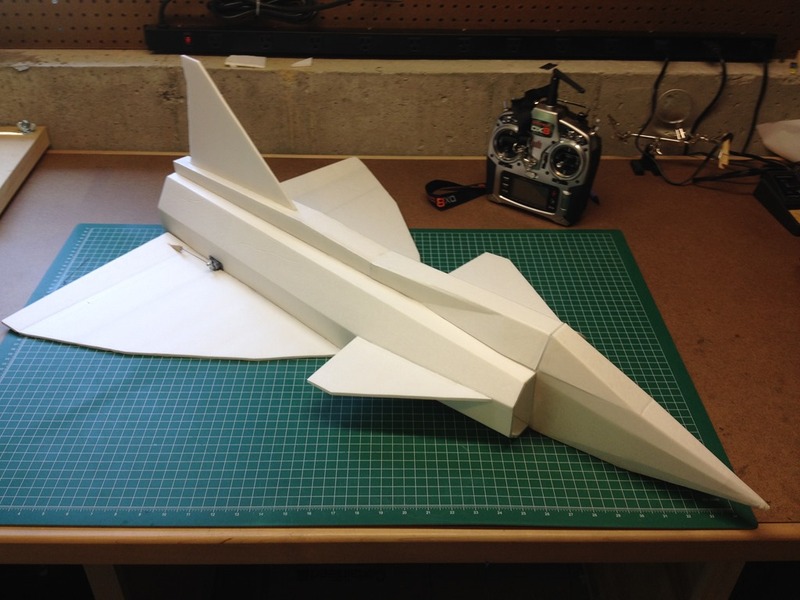 After about 2-1/2 minutes of flight time, battery capacity was at about 70%, so no problem there either. The second flight was just as un-eventful. In fact, I thought I was going to have a perfect landing, but she went a little long and rolled out past the end of the paved section of the runway onto the grass, resulting in a nose-over (but that’s nothing new for me!). After about 5 min of flight time, battery capacity was at about 45%. 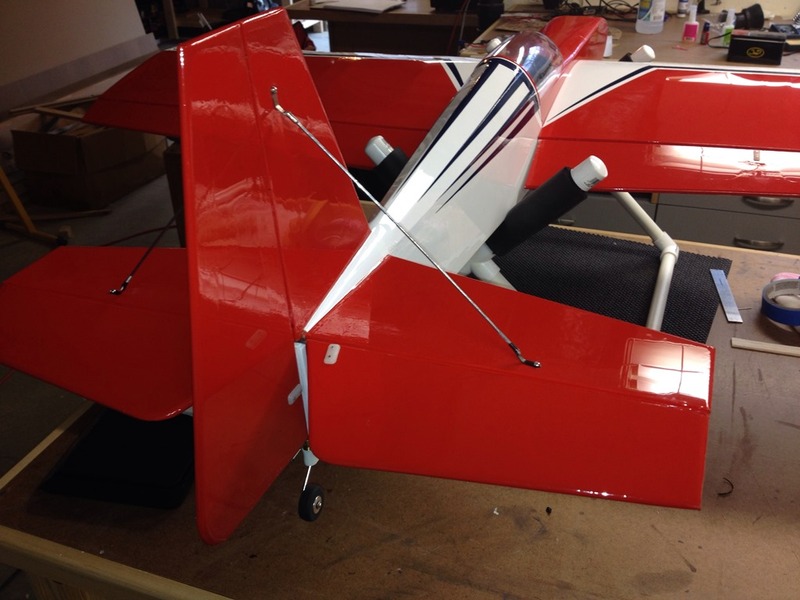 I did not play with trims any, as she seemed to be flying well without any porpoising or other obvious trim issues. 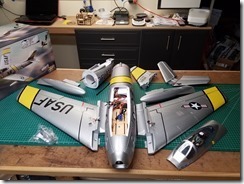 Unless there is something obviously out of whack, I try to get a feel for how a plane handles with a few flights before I fuss too much with trims anyway. I may add in a bit of right thrust to help counteract the p-factor before my next flight though. All in all, I came away quite happy. 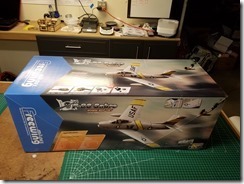 Flying the Cub should help me build confidence with larger and heavier planes (and particularly with tail draggers) before flying my kit built planes like my Hog Bipe.